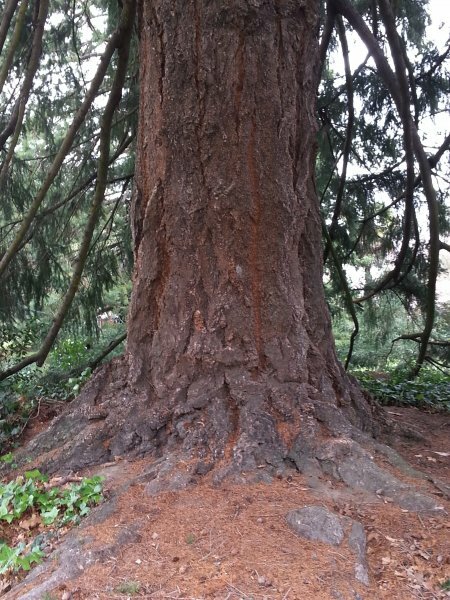 One of several large trees in Queen Elizabeth Park. This tree is a particularly fine specimen with a full canopy to ground-level (Cadwallader, B.G. 2017).